Posted January 22, 2016 by Jen & filed under Garden. One question we often get is “Sow or transplant, which one is better?” Most seasoned gardeners will do a combination of the two but, ultimately, it comes down to personal preference. The best we can do is help you break it down. Seeds are cheap… for the most part. 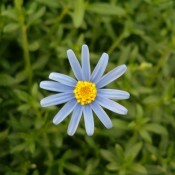 When comparing a packet of seeds to a single transplant, it is easy say that the packet of seeds is measurably cheaper. And when you are growing a large number of a certain crop, it is certainly the more cost effective option. However, if you are only planting small quantities, transplants can be cost effective and provides a great way to support local farmers, nurseries and garden centers. While you can save seeds for subsequent years, the viability of seeds can diminish if not stored properly and if kept for a long period of time. The variety selection of transplants can be limited whereas there is a wider range of seeds available. But in recent years, the selection of transplants has increased because of consumer demand. Sometimes certain varieties only come in seed form. So it is much easier to just get seeds. It is super quick and easy to sow a bunch of seeds at one time. However, once established, time must be taken to thin out the seedlings in order to allow room from proper growth, improve air circulation, and reduce competition for water and nutrients. Transplanting plants will require a bit more time initially to plant each one but once in the ground, they don’t require much more work and you get immediate satisfaction. Who doesn’t love seeing a neat and tidy, colourful bed of baby plants? Growing from seeds can be riskier than growing from transplants. They are less resilient to diseases, pests and weather conditions. Germinating seeds will also have to compete with germinating weeds for nutrients and water in the soil. The germination rate may be only mediocre as the less robust seeds may not survive. Transplants, on the other hand, are much more resilient to diseases, pests, the weather, and weeds since they are already established plants with strong roots and good size. 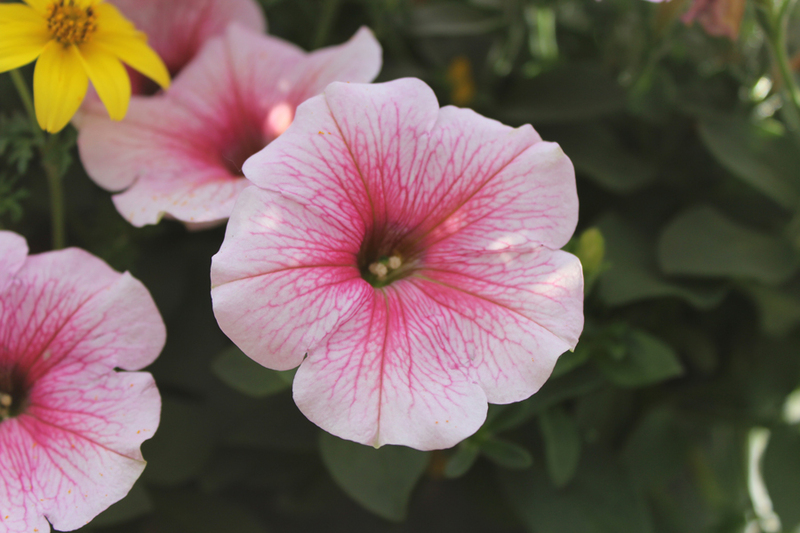 Here’s a good tip, make sure to harden off your transplants, which means exposing them to slightly cooler temperatures and some dryer conditions before putting them out into your garden. Hardening off helps lessen transplant shock, which is stress on the plant due to fluctuation in temperatures and conditions. Since transplants are basically just small plants the time between planting and harvesting will be much less than with seeds. If you are in an area with a shorter growing season and you want to grow something with a longer time to maturity, transplants will be a better choice over seeds. Plants have their preferences. Often, root crops such as carrots dislike being transplanted because it causes root disturbances. This is why you won’t find certain plants in transplant form. If your local garden centre or nursery has transplants, those plants will likely transplant well. Is your growing season long enough for the plant to fully mature from seed? Can you wait for the plant to fully mature from seed? 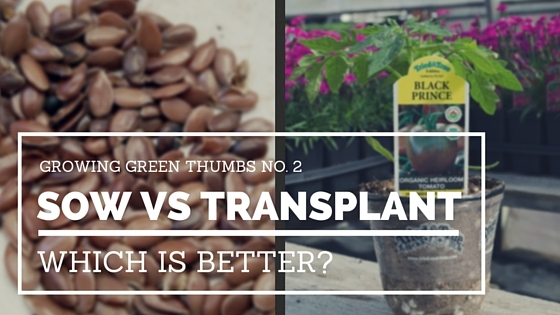 Can you justify the cost of buying transplants vs seeds? Posted January 15, 2016 by Jen & filed under Garden, T&T. These kids are our future. And to be able to ignite a passion and enthusiasm for nature and healthy living is invaluable. 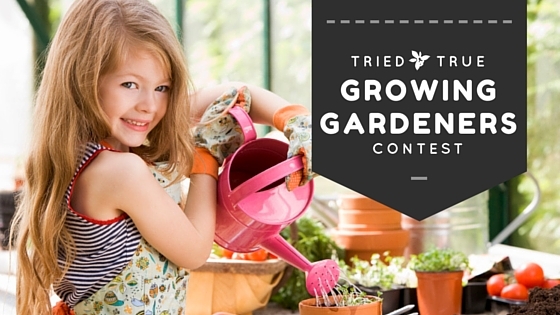 This is why we are ecstatic to announce our first annual Growing Gardeners Contest. Elementary schools in Vancouver, Richmond, Burnaby, and New Westminster are invited to enter the contest by submitting a poster or a short video showing “what gardening means to them.” Three schools will be selected to win a Tried & True Organic Edible prize pack valued at over $150. Since it is our first year of the contest, we are keeping the eligibility area small so we can work out any kinks. But don’t worry, we will be expanding the contest in the coming years! Please visit the Growing Gardeners Contest page for more information, including full rules and regulations and the application form. Good luck to all the schools that apply! Posted January 8, 2016 by Jen & filed under Garden. It’s January! If you are anything like me, you are still recovering from your post-holiday daze and are already longing for the brightness and freshness of the spring. 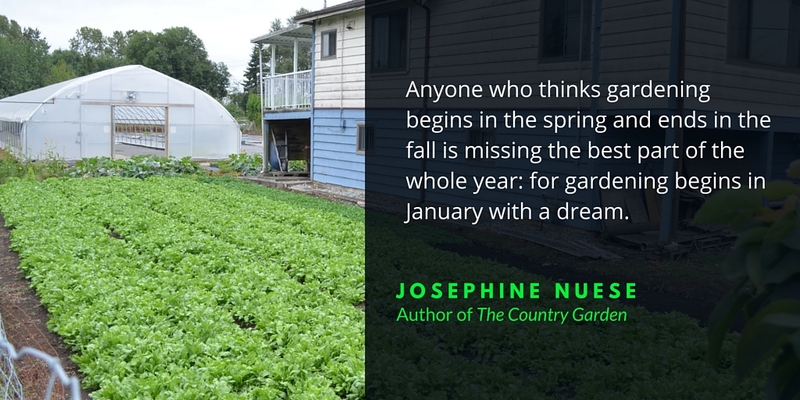 You are counting down the days until you can play in the dirt, plant and nurture new life, and feel that sense of completion. As it turns out, all that rewarding springtime fun actually starts right here, right now. I’m not talking about jumping into your rain gear and working the soil in near-zero degree weather (I’ll pass on that, thank you very much). 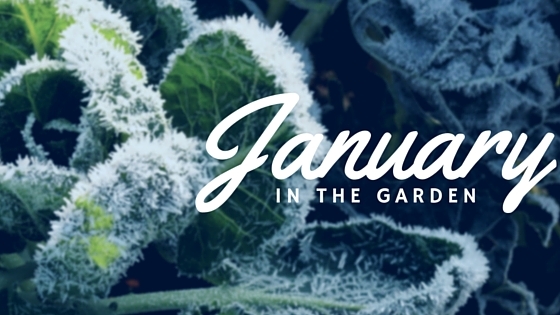 January is the time for one of the best parts of gardening: planning. In any other situation, the word “planning” doesn’t necessarily elicit the same level of enthusiasm as say an all-you-can-eat dessert buffet. But, for me at least, planning a garden is like creating a whole new world. The possibilities are endless! So bundle up with a hot chocolate (or hot toddy, if that’s how you roll) and check out what’s new and exciting in the world of plants. Posted December 29, 2015 by Jen & filed under Garden. ANNUAL: a plant that completes its lifecycle in one growing season, and does not survive the winter. These plants must be planted each year. TIME RELEASE FERTILIZER: also known as Controlled Release Fertilizer. These pellets are an improved version of slow release fertilizer. Instead of breaking down and released by microbe action, it is released based on the temperature of the soil. 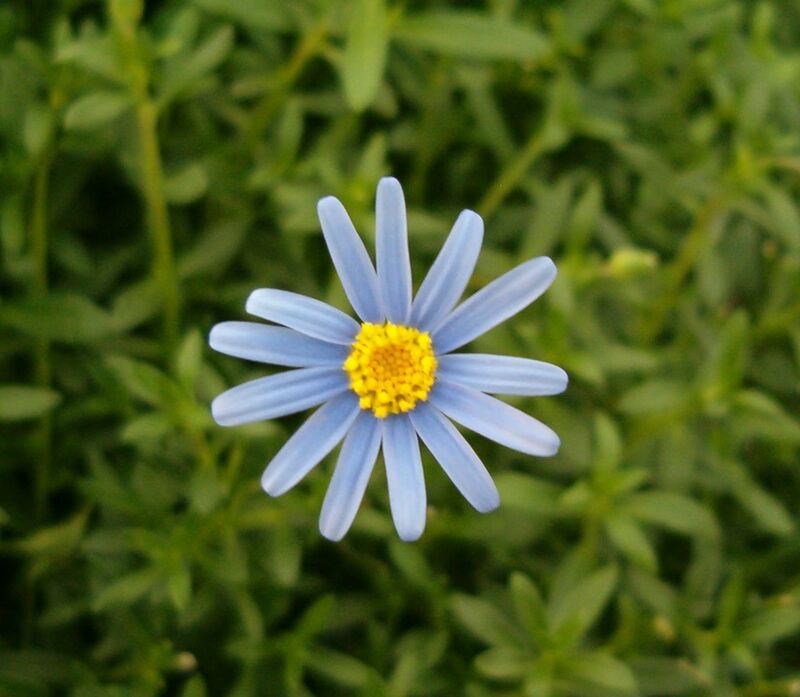 HARDENING OFF: acclimating plants grown under protected areas to cooler conditions outdoors. This is normally done by leaving the plants outside during the day then bringing them undercover at night. This process normally takes a few weeks. INDETERMINATE GROWTH: also known as “vining habit.” Growth that is not genetically pre-determined and does not stop at a certain length. Plants with indeterminate growth will likely need support structures, such as trellises or stakes, to grow against. ROOT BOUND: sometimes called Pot Bound. When a plant has been left too long in too small a pot, the developing roots run out of space and will grow in overlapping circles following the inner walls of the pot. This results in a compact, hard ball that retains the shape of the container. If planted this way, the roots will continue to grow in this circular pattern, not spread into the soil, and eventually strangling the plant. Loosen and break up roots to separate them before planting. VOLUNTEER: a growing plant that is not deliberately planted by the gardener/farmer. These plants are often grown from seeds that have been spread by the wind or birds, or inadvertently mixed into compost. Posted December 13, 2015 by Jen & filed under Garden. 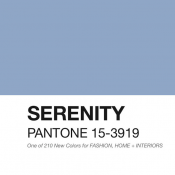 Earlier this month, Pantone announced their 2016 Colour of the Year. Or should I say colours. 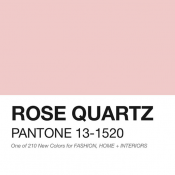 That’s right, unlike previous years’ predictions, Pantone chose a blend of two colours: Serenity and Rose Quartz. Together, the colours create balance and act as a soothing counterpoint to the stresses of modern living. 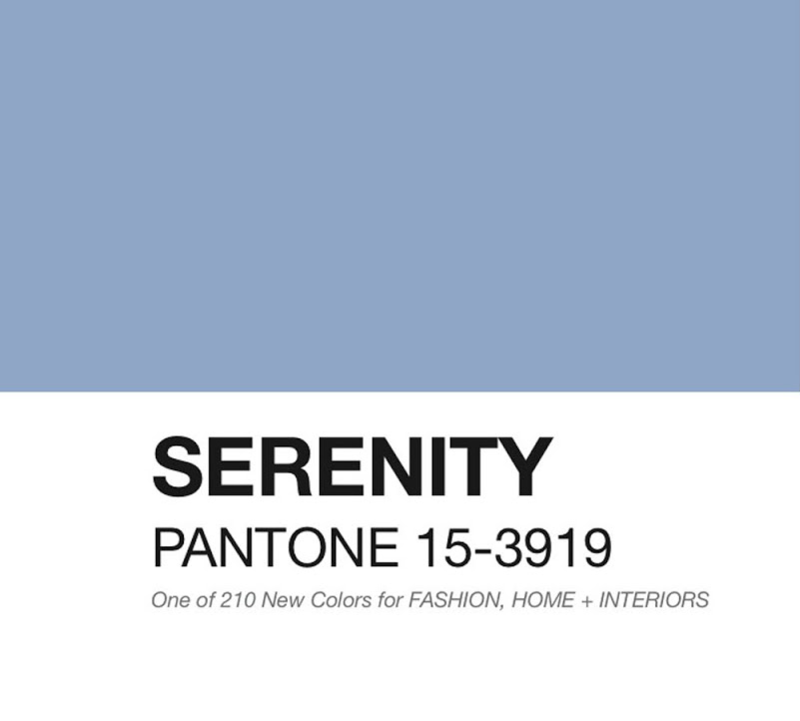 Both gentle and calming tones also have rich ties to nature. 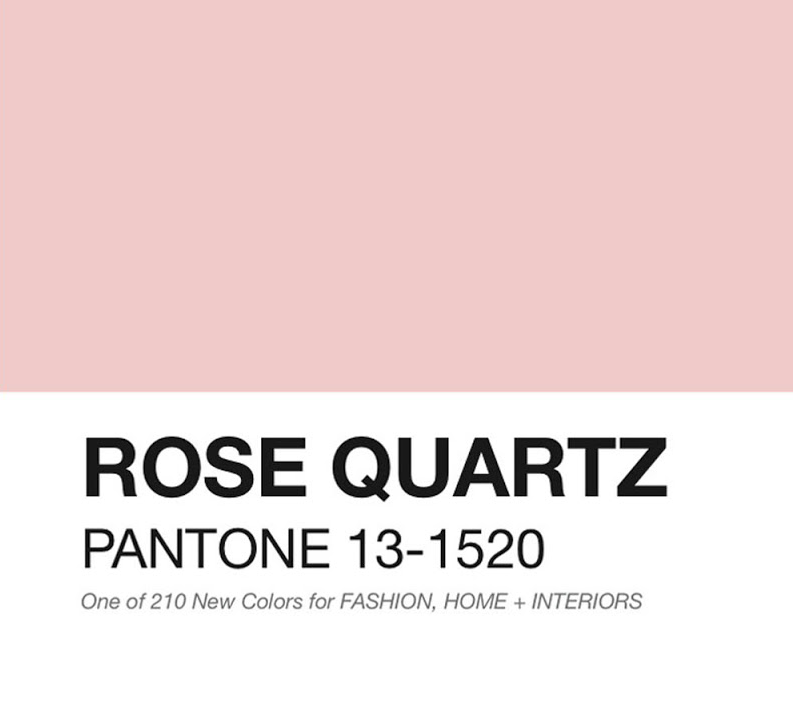 The cool, airy blue of Serenity is reflected in the transcendent blue sky; the warm, light pink of Rose Quartz is extracted from tranquil sunsets. 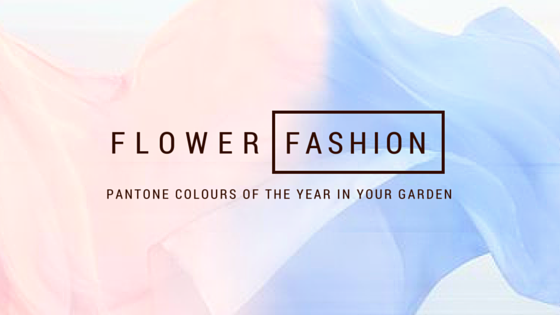 These colours will definitely lend themselves well to your garden, meaning you will not only be able to create your own backyard oasis but you’ll also have the most vogue garden on the block! Looking at Felicia Tosca Blue is like gazing up at the sky on a clear summer’s day, the radiant sun popping out against the cloudless blue backdrop. Just imagining that makes me take a deep breath. I love this plant not only because of its exquisite colour but also because it adds this light, airiness to containers and garden borders. Plus, Tosca Blue’s hardiness means it will provide this transcendent Serenity-blue colour all summer long. While Petunia SunPassion Cherry Vein is not an exact match to Rose Quartz (especially in this picture), I find that it does elicit the same feelings as Rose Quartz. Amid the chaos of the busy spring and summer seasons, the flushed pink blooms always seem draw me in and reminds me to take the time to reflect on my surroundings. This is probably why I can’t help but take a picture of Cherry Vein every time I see its beautiful blooms. 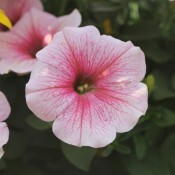 And, it is a very robust bloomer so you will get to enjoy this gorgeous flower well into the autumn months. Posted December 10, 2015 by Jen & filed under Garden. ‘Tis the season… of holiday gift-giving anxiety! There is always that one person that is tricky to buy for. But don’t worry! 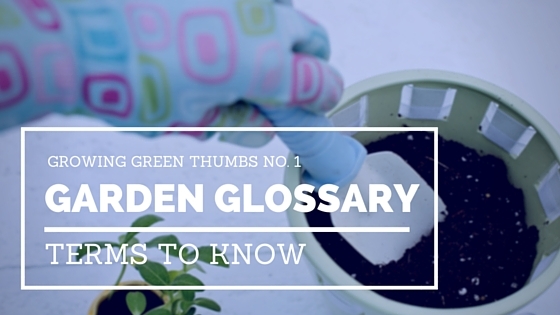 If that person is a gifted gardener or a horticultural homie, we’ve got you covered! 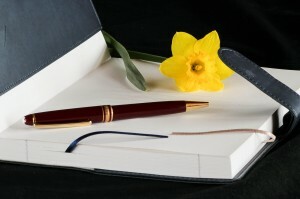 A garden journal is an essential tool to any gardener (whether they realize it or not). Tracking things like weather conditions and growing methods provides insight to the successes and failures of the gardening season, and helps to identify the unique characteristics of the garden. Being able to look back at previous seasons’ information helps gardeners plan for following years. There are great garden journals already available for purchase, such as Moleskin Passion Gardening Journal, or the My Garden: A Five Year Journal. Or you can add a personal touch and make one yourself. There are many online resources and templates to guide your creation. Honestly, you can’t go wrong with a gift certificate. Especially if it’s one to a place that you know they will love. If you find it a bit impersonal and want to sweeten up the pot, go with them and make it a fun, full-day outing! 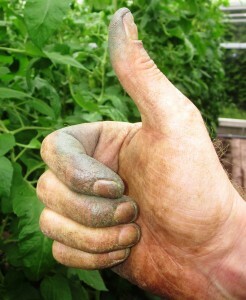 The hard working hands of gardeners are subjected to a lot of wear and tear from the constant exposure to soil, plants, and friction. One of the greatest gifts for gardeners is hand cream. There are innumerable amounts of hand cream types and brands that it can be overwhelming to choose. We would recommend either Crabtree & Evelyn’s Gardeners Ultra Moisturizing Hand Therapy or L’Occitane’s Shea Butter Hand Cream. Both are ultra-moisturizing and will restore even the most weathered gardener’s skin. Many gardeners have to deal with less-than-ideal soil which will affect their ability to grow certain things. 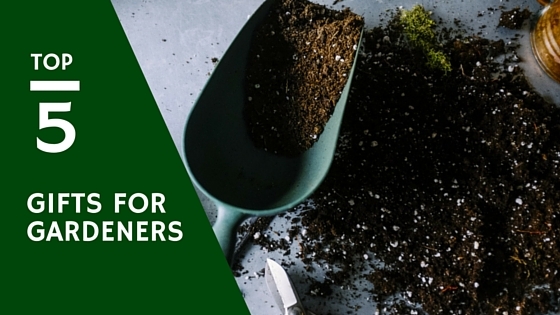 Adding high-quality soil amendments, such as compost or composted manure, can improve things like nutrient-holding capacity and pH, and help to make a once-average garden a big success. At least one hour. After a hard day’s work in the garden (especially early in the season when no one is in top garden-form), everything is sore. Even parts of the body that they didn’t know existed. A professional can get into those places to relieve pain and stiffness, help speed up recovery time, and improve joint flexibility. A good massage can melt stresses away and make anyone feel like they are walking on Cloud Nine. Plus, they’ll probably love you even more for this splendid treat! Posted December 8, 2015 by Jen & filed under T&T. Hi! Thanks for stopping by! 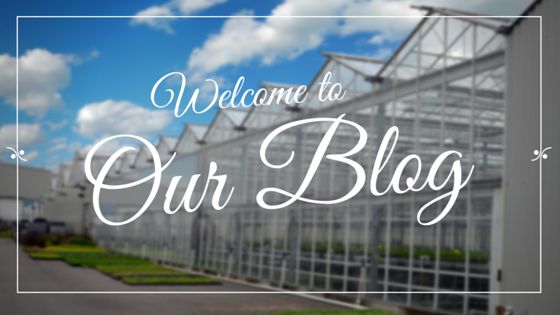 We’re very excited to share our new Tried & True blog with you. Here we’ll talk about the stuff that matters to us, which could be anything from behind-the-scenes stories to delicious garden-to-table recipes to great gardening tips & tricks, and much more! But we don’t want this to be a one-way street. We really look forward to hearing your thoughts & opinions, and hope to foster great discussions. And of course, as we continue to build our blog, we welcome any feedback you might have. So, take a tour of our new blog, check out the rest of our website, and connect with us on social media (Facebook, Twitter, Instagram & Pinterest). We look forward to growing with you as we embark on this new journey! Thanks for visiting!